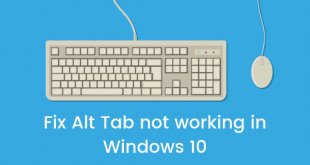 Home / How To / How to Restore, Refresh or Reset windows 8? 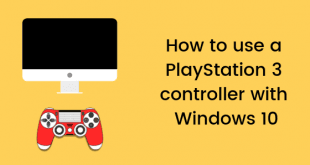 How to Restore, Refresh or Reset windows 8? 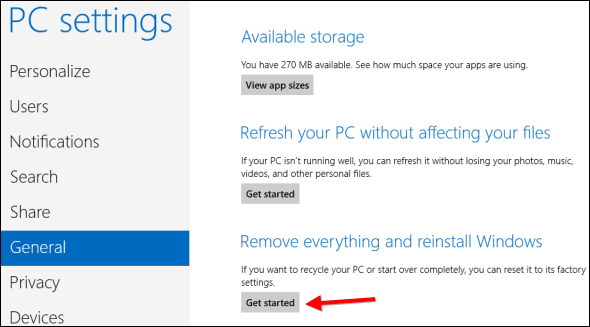 System Restore in Windows 8 or Windows 8.1 works just like System Restore used to work in previous versions of Windows. It’s just become better and faster. Windows now takes snapshots of your current running system on a regular basis. It takes snapshots of the program files and the important system files so if your computer starts acting weird and starts giving system errors or BSoD or Blue Screen of Death, then you can choose the option of System Restore to repair your system and get it working normally. 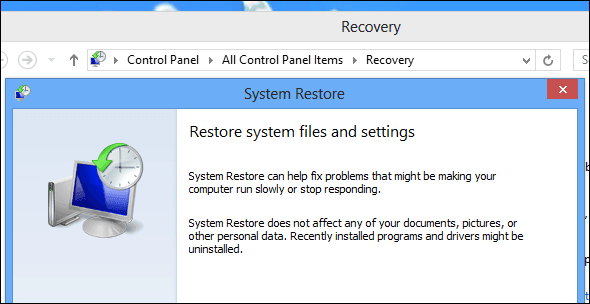 Follow these steps in order to perform a System Restore. Press the Windows key on your keyboard and you will see the Start screen. Now type Recovery at the Start screen to perform a search. Now just click the Settings option that is appearing in the sidebar. Then select the Recovery shortcut. Select the Open System Restore option. Open the System Restore wizard, it will ask you and help you in selecting a restore point from which you will be restoring the system. 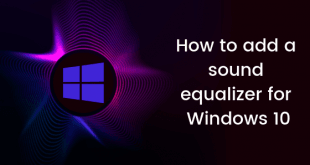 Refresh Your PC is more sophisticated to use and this feature will provide you a totally new Windows OS that will replace your current OS without removing any of your personal files. It’s exactly like re-installing Windows, but take it this way, you do not have to back up anything and the system will restore your files automatically as it is! No need to do this routine manually. But keep in mind that all the programs that you have installed in the desktop mode will be uninstalled. Open the Windows charm menu by pressing Windows Key + I on your keyboard. Now find and click the Change PC settings option in this charm menu. Follow the wizard and this will refresh your PC. 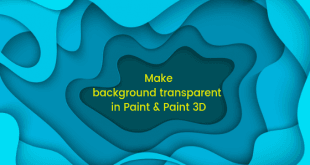 This feature will totally remove all your files and data in the Windows installation drive and then you can perform a totally fresh Windows installation. It’s just like installing Windows all over again freshly. Before resetting your PC, make sure you take a backup of all your important files. Open the Windows charm menu by swiping in from the right and then pressing Settings or you can simply press Windows Key + I on your keyboard and it will do the same job. Now you just have to select Change PC settings. Now just go to the General category in the sidebar. 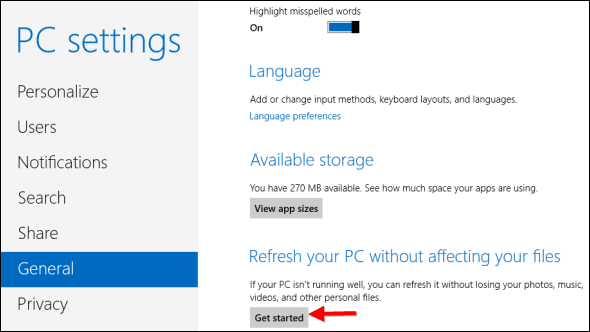 Now just click the Get started button under Remove everything and re-install Windows. This will one by one reset your PC without any hassles and you just have to follow the wizard and you will be done. If you have any question, you can get them cleared in comments section.